casting nets deeper than darkness, her bioluminescent waves. much the way cherry blossoms bloomed in your haiku. And how can I hold it against you? The courage you held for two. While I scribbled verses on graph paper, you doodled lips on fish. Archival dust made us both sneeze. NaPoWriMo Prompt #4: to write about an abstraction in a concrete way. This poem is a rewrite of a poem from 7 years ago, about something very abstract: regret. And perhaps a bit of jealousy. It’s one of those pieces that when I first wrote it, began to open a door to a feeling I’d yet to articulate: that I became a scientist instead of a poet. And that somehow, a certain poet I knew was farther ahead and better equipped than I. Revisiting this poem now, this topic, was easier. I felt more like an observer than a participant, I could open the door even wider, filling in more specifics than before. I loved studying science. And poetry! And I have no regrets. I know now that regardless what my path has been, marine science enriched my life. And of course, studying poetry and music in non-traditional ways, has made the poet within stronger and more defiant than ever. I can see now too, what a waste of time it is to compare ourselves to others. Don’t do it!! Thankfully, our paths all differ wildly. We should celebrate this. Every year, I post something around this time, to honor Frida Kahlo and her birthday… This year, I want to see Frida through artists’ eyes. So I’m asking several guest artists to talk about Frida as they see her, as they channel her~ her life’s experience and work~through and into their own art. Every year, I post something around this time, to honor artist-icon Frida Kahlo and her birthday (July 6). Last year’s post, was about going to the Mission to see the new documentary of her years in San Francisco. I posted some of my favorite photos to commemorate her life with favorite quotes. The Year before- I posted a very cool video showing Frida in her world; a day in the life. This year, I want to see Frida through artists’ eyes. So I’m asking several guest artists to talk about Frida as they see her, as they channel her~ her life’s experience and work~through and into their own art. I’ll be posting a few artists’ work in the next week. We begin with Frances Perea, an artist whom I discovered on Etsy (the global market place these days for art and artisan hand-crafted artworks.) Everyday on Etsy, is a day to discover new photographers, sculptors, painters, collage artists, clothing and jewelery designers, you name it- from all ends of the globe. And the community just keeps growing. I love seeing all countries represented, in all genres imaginable. Crazy inspiring. Artist Frances Perea: What I love about her work- it is bright, symbolic, colorful, meaningful, accessible coolness- the way, it seems, that Frida would have appreciated it too. Tara: I like your words “fierce tenacity”. This is one thing I appreciate in so much art of Frida: certain features may show or symbolize a starkness or edginess- like her work- but it is so often juxtaposed in the bright colors of the Mexican culture; colors of celebration. This is what I cannot get enough of, in contemporary art that is influenced by Frida’s life. Tara: What is your favorite Frida Quote? Tara: Wow. Beautiful. What is new in your shop and in your creative endeavors soon on the horizon? Frances: “The art I create currently featuring Frida, takes the form of paper doll collages. There is more to see at Frances’ Perea’s art shop here on Etsy– check her out: her evocative works are uplifting, compelling, and the prices are quite reasonable. They all make for great gifts. Are you stumped for the perfect gift? Are you ready to give up because youve missed posting that holiday gift? Wait! It’s all OK, because you are actually still ahead of the game for New Years!! Your friends and family will forgive all transgressions just for finding them the most unforgettable gift Ever!… the 2014 Accordion Babes Pin-up Calendar and CD! Time to shout out winners for the silent jewelry auction to benefit Typhoon Haiyan victims: Margriet Schnabel for the Moss Memories earrings, and JAK for – the 1920 Holiday Ball– Marcasite/pearl earrings. Yay! Contact me soon as possible so I can get your funds to CARE. Thank you for bidding & to Andrew Thornton for the idea. 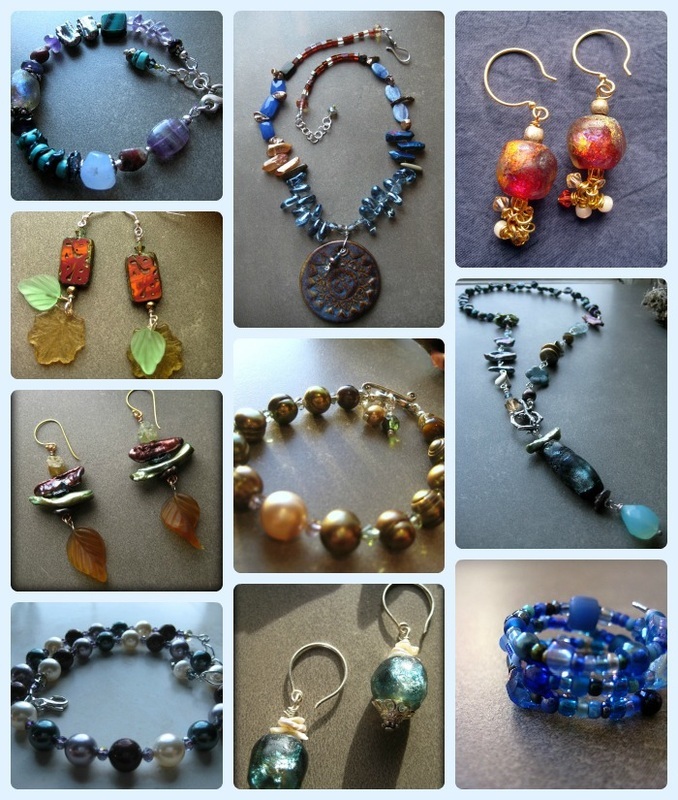 I will be dedicating other jewelry in my shop to continue raising money past the holidays. Speaking of holidays, it’s that time of year again! Time to remind you that if you are stumped for the perfect gift, or if you’ve missed holiday posting deadlines, it’s OK, because you are still ahead of the game for New Years!! Your friends and family will forgive all transgressions just for finding them the best, most unforgettable gift Ever!… the 2014 Accordion Babes Pin-up Calendar! I’m pretty sure that this is the ONLY calendar on the planet that features 12 accordion-toting femmes~ real musicians, who front bands, write music and tour~ all while demonstrating in genres and countries worldwide, that accordions are officially COOL again! Ha! Imagine that! Producer Renee de la Prade seriously jumped the pond this year by including accordionistas as far away as Canada ;), Norway, and France. And I am thrilled to say that I’m up-to-date shipping out my orders!! This is me, with more clothes on, mailing them from the road, in a tiny, cold town somewhere in the wild west. You can’t tell, but the building is about 20 x 20ft big. Wait, can you believe it?! Near the middle of nowhere in the wild west, they limit parking to 10 minutes? Shocking! 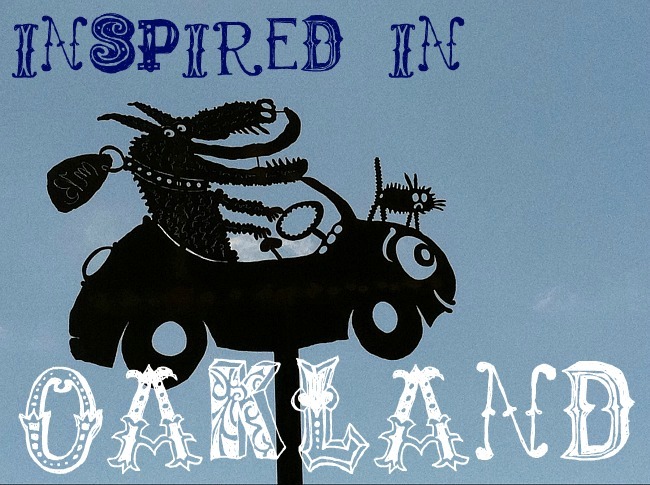 You can also find my music on CDBaby, I-tunes, and digitally nearly everywhere you look. Thank you, so much, for supporting a world with music. xox! Celebrating Frida this whole weekend in the SF Bay. Here are favorite photos, quotes, and excerpts from dedicated websites about her life. 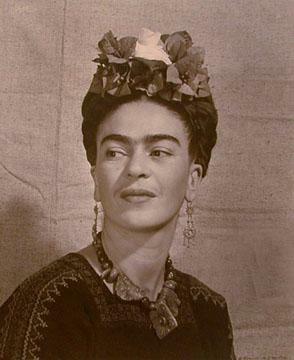 San Francisco is celebrating the life and legacy of Frida this weekend, her anniversary. Teatro Frida just showed a 1966 documentary of her time with friends here in the Bay Area, circa 1930’s, plus the first 1980’s Mexican film of her life. 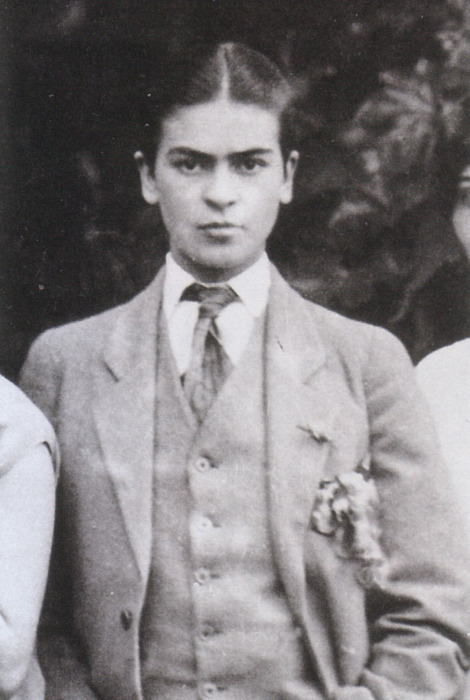 The Mexican Revolution began when Frida was three years old in 1910. 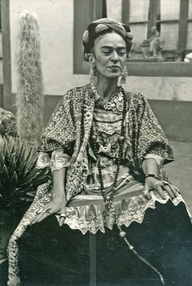 Frida, with her rebellious soul, always preferred to give her year of her birth as 1910 in order for all to associate her directly with the revolution. Frida was blessed with a good home, committed parents, and an artistic father who was a great photographer. Challenges began for Frida in her early childhood, with a severe case of polio. Andre Breton introduced Frida to Julian Levy, who helped her set up an exhibition in New York City in 1939, and subsequently in France. 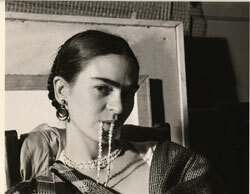 Frida became the first Mexican artist to exhibit her own work at the Louvre Museum in Paris. Though Frida’s life-long experience of pain was undeniable, the principal elements of Frida’s artistic life are considered to be love, joy, passion and creativity. 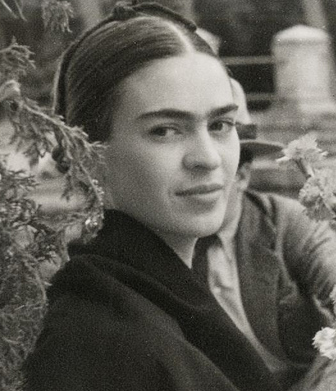 Frida showed great perseverance for achieving her dreams and also showed her happiness, love and passion for life despite all the adversities she overcame. 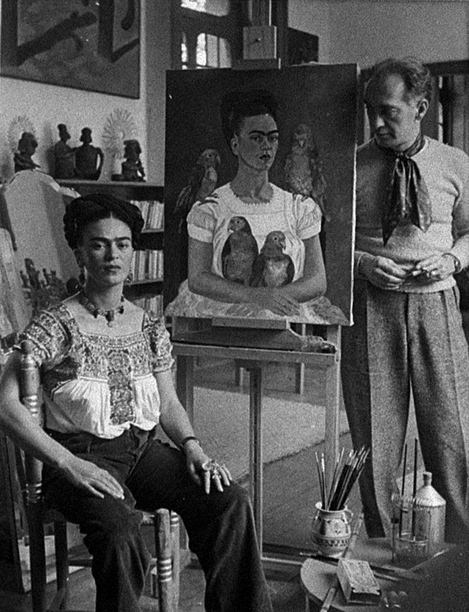 Frida was able to redefine her life through her art and she fulfilled one more dream when she had her first exhibition in Mexico City in 1953.